I am currently surrounded by orange. 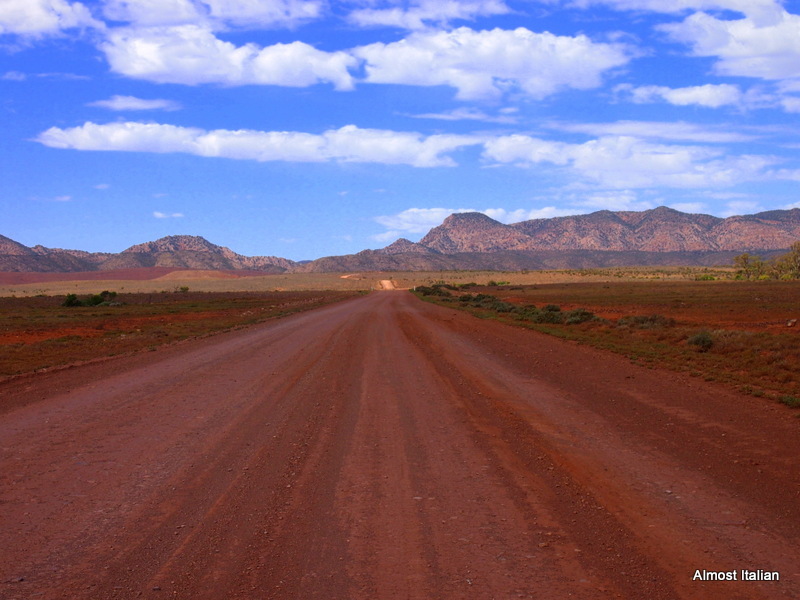 The rock faces of the Flinders Ranges, South Australia are bathed in orange at different times of the day. The road to Brachina Gorge is an orange drive all the way. And I just cracked a large Kent Pumpkin. As we are camping off the grid and have limited cool storage, orange cuisine is on the agenda. Recipes will follow another time. Camp cooking is never dull. Thanks Ed from Sunday Stills for the suggestion. 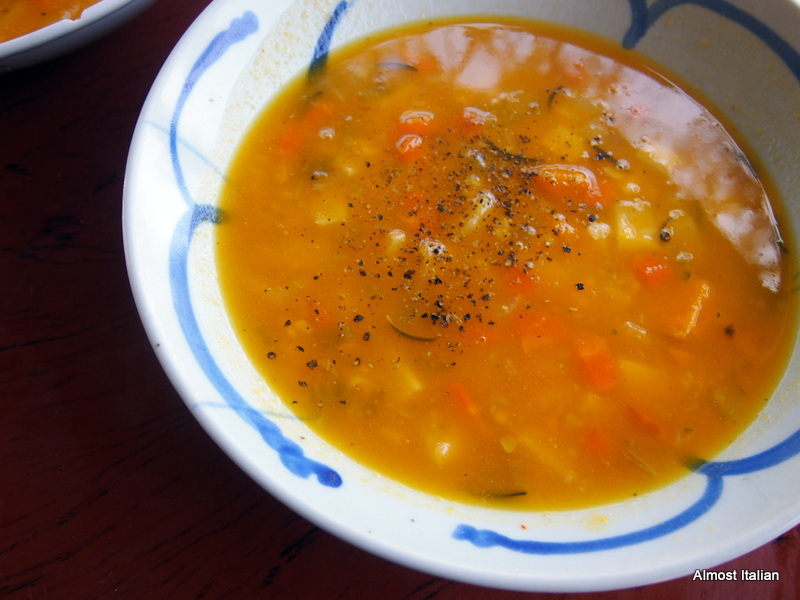 Vegetable soup featuring pumpkin and carrot, parsnip, potato and found herbs. 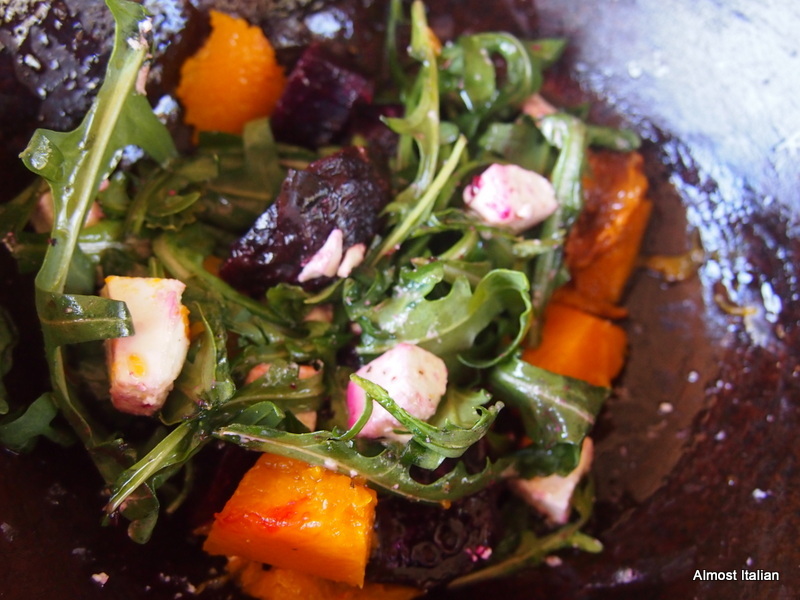 Fire roasted pumpkin and beetroot salad with fetta and rugola. 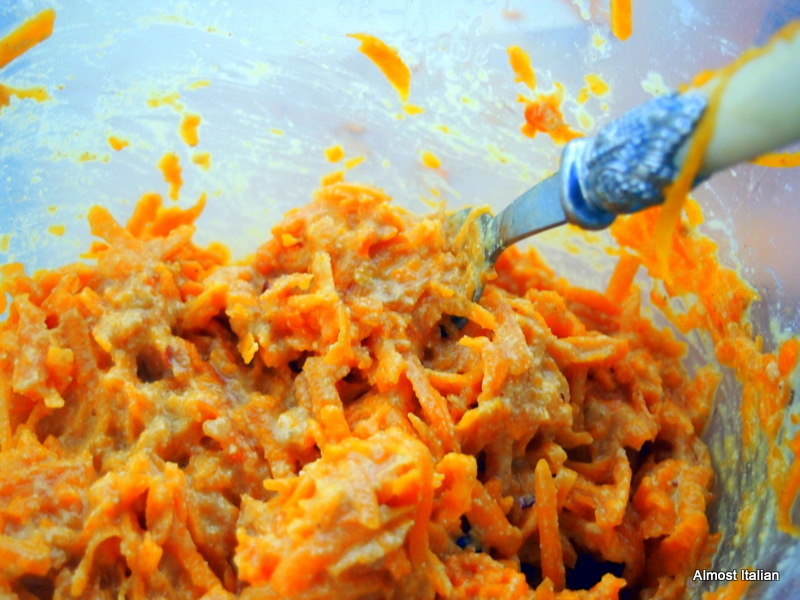 Indian pumpkin fritter mix of grated pumpkin, shallot, besan flour and spices. Wonderful landscape, and yum 🙂 I’m not camping, and am on the grid, but I have a whole pumpkin that in cooler weather would have been designated simply as soup but now will be transformed marvellous & delicious orange creations. Thanks Ella, And then there’s Indian Pumpkin curry and baked in fire wedges with Japanese sesame dressing. I’m getting sick of that pumpkin. Beautiful orange Francesca. Pumpkin is great camping food. Along with fire roasted Sweet Potato! Yes they have had a turn in the fire but cooked so quickly they were black sith tiny orange hearts…not enough foil. Orange has always been my favourite colour! You certainly eat better when camping than we used to! It all looks delicious. I need to cook like this as we don’t eat meat and the fish ran out some time ago. I am envious of those who eat a steak or sausage on the BBQ. It is much easier. Ardy I need to cook like this as we don”t eat meat. I am envious of those who BBQ a steak, it all seems so much simpler. Anything cooked in the campfire tastes good! We usually have a billy of mulled wine on the go too! I just love the Finders Ranges, I’m green with envy!!! It’s so true. Everything tastes great by a camp fire. Mulled wine would be good to keep the night chill away. What a wonderful thing to do – camping off the grid. Love the pumpkin dishes (and the colour!). I bet they were spectacular fire roasted. They were but very tricky to get the timing right. The coal roasted chappatis I made in the fire yesterday were sensational. Needless to say,all my clothes and hair smells permanently smoked,like a walking tandoor! Flinder’s Ranges are amazing and by the looks of it so is your cooking! I love hanging out in that part of the world, the colours, the light, the birds- and the food too. Thanks for dropping in. Yes. It really is a special place.